The Bushy’s TT 2017 smartphone calendar – don’t leave home without it! How about this then? Every planned road closure, every race, every practice, every TT Beer tent gig! 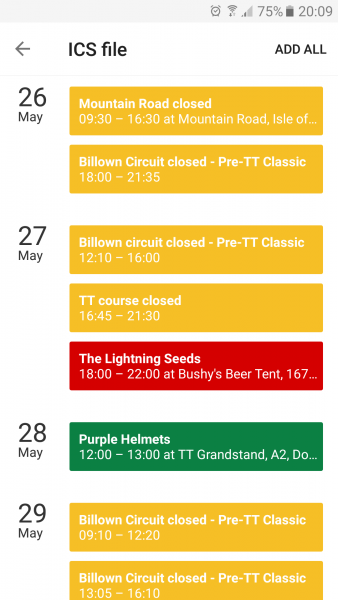 Download the Bushy’s TT 2017 smartphone calendar and have all the information you need right at your fingertips on your mobile! 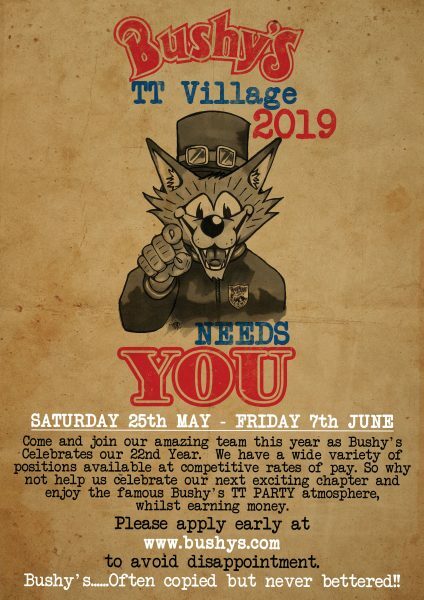 Wondering which band is playing at the Bushy’s TT Beer Tent on Loch Promenade in Douglas? Want to know what time the Mountain Road closes tomorrow? Trying to find out where you can find the masters of mayhem, the Purple Helmets? There’s no excuse for not downloading it!